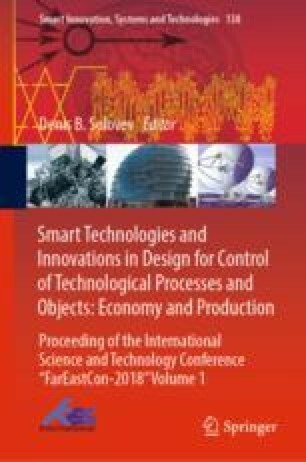 The article deals with the development of methodological approaches to assessment of various strategies developed for the regional industrial technical and technological policy. The object of the analysis is the existing modern system used for assessment of the innovative activities. The study hypothesis is the assertion that simulation modeling facilitates elaboration of a systematic approach to assessment of various strategies of the regional sectoral technical and technological policies based on innovation activity. Simulation modeling allows obtaining a realistic view of the financial resources, which are needed to implement modern scientific achievements and best practices. It also helps to develop an objective organizational-economic mechanism for their implementation, creates opportunities for reducing the administrative barriers to innovation investments, studies the capacity to self-finance innovative activities, and exposes the institutional mechanisms, which may stimulate their development. The article considers the algorithm and mechanisms used to evaluate the results of innovative activities. The assessment is made using a balance simulation model at the stage of introduction of scientific achievements and best practices during the forecast period. The paper discusses a possibility to use simulation modeling for the anticipatory evaluation of various options of the innovative activities, which may be conducted in the region. This will make it possible to identify the necessary resources and their location while developing the concept and the long-term strategy of the industrial technical and technological policy in the region.